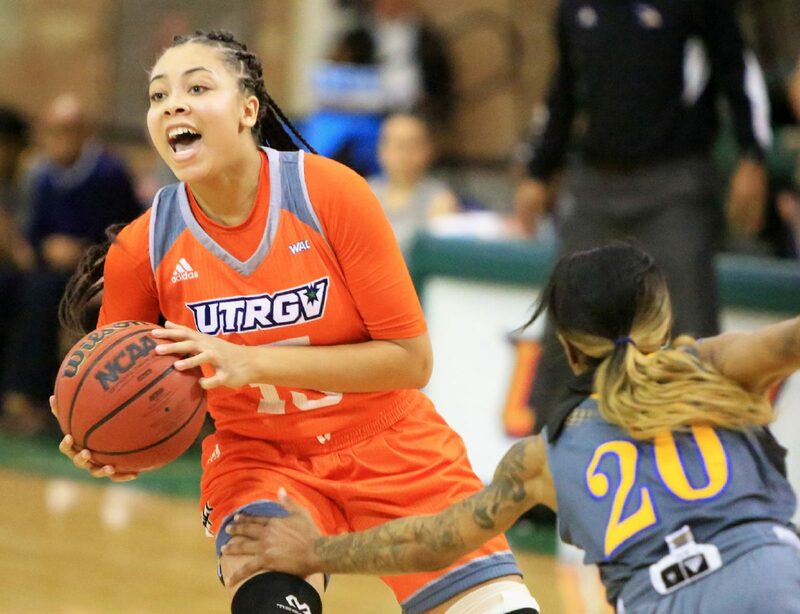 The UTRGV women’s basketball team will host the University of Texas on Dec. 20 in Edinburg, marking what is believed to be the Longhorns’ first match or game in any sport at the UTRGV program since 1971. A three-time Final Four participant, UT women’s basketball advanced to the NCAA’s Sweet 16 last year, finishing 28-7 overall and earning a No. 8 ranking in the final AP Top 25. UTRGV women’s basketball has met Texas seven previous times, with the past six matchups taking place in Austin since 2003. UTRGV also hosted a Power Five opponent last season, welcoming USC to the UTRGV Fieldhouse on Dec. 20. Then-coach Larry Tidwell, who has since left UTRGV to take a position at Texas Tech, last year helped secure the matchup against UT in Edinburg thanks to his relationship with Longhorns coach Karen Aston, UTRGV athletics director Chris King said. First speaking about the game when Lord was introduced as UTRGV’s new coach in late May, King said he hoped it would lead to additional home matchups against UT in other sports down the line. UTRGV will also face a few grueling tests on the road, traveling to meet Texas A&M on Dec. 29 and Baylor on Dec. 31. Texas A&M finished last season ranked No. 14, earning a 26-10 record and a trip to the NCAA Tournament’s Sweet 16, while Baylor went 31-1 during the regular season for a No. 2 ranking before also losing in the Sweet 16. Overall, UTRGV will play 15 home games as part of a 29-game schedule that opens with a home matchup against Texas Lutheran on Nov. 10. UTRGV begins the WAC season on Jan. 5 by hosting conference newcomer California Baptist. The WAC Tournament runs March 13-16 in Las Vegas.